Zemax offers software solutions for end-to-end optical design, taking your ideas from napkin to prototype. 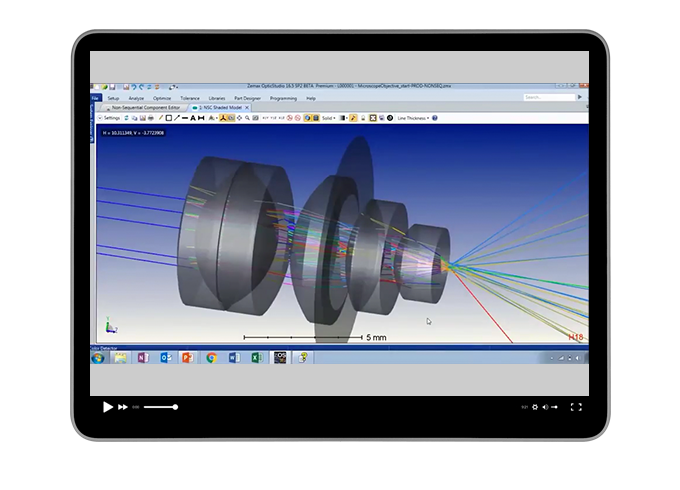 Optical engineers design optical components in OpticStudio® while mechanical engineers design the mechanical parts and packaging around these optical components with LensMechanix®. Optimize and tolerance a microscope objective in OpticStudio. Convert the file into non-sequential mode for stray light analysis. Use analysis, optimization, tolerancing, and stray light tools to complete the design.